What Global Warming, Nuclear war, Cyberwar, Pandemics, Supervolcanoes, Asteroid Strikes, Out-of-Control A.I., and Other Unpleasantries Could Do to Us. From best-selling author and illustrator Ron Barrett, who forecasted the weather in the classic picture book, Cloudy With a Chance of Meatballs, now predicts how—thanks to climate change and other unpleasantries—the world will end! 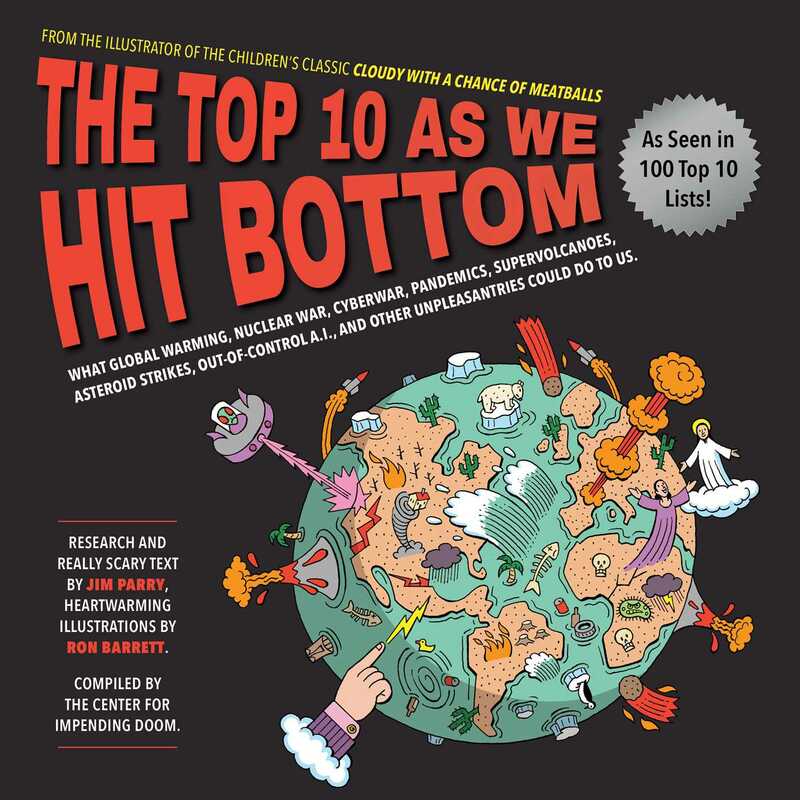 With research and really scary text by Jim Parry, The Top Ten As We Hit Bottom is a darkly humorous collection of “Top Ten” lists that highlights the predicament global warming and other impending catastrophes have put us into. Though some might call these lists “fake news” (we’re looking at you, Donald), these lists are compiled and culled from the world's most credible authorities like NASA, the UN, and the Union of Concerned Scientists. But coupled with darkly humorous illustrations, you’ll be laughing your way all the way down in our race toward the bottom!